KEEP YOUR TRACKER TRACKING WITH WIRELESS CHARGING! 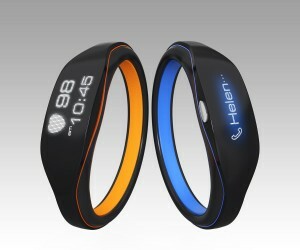 Fitness trackers have received strong presence in the wearable market. They are currently the most popular type of IoT device among consumers. Whether you’re searching to be active, lead a healthier life or simply be a little more aware, fitness trackers have become a popular and effective option. By providing a vast amount of tracking functions for sleeping habits, heart rate elevation and distance monitoring, users can actively keep track of their life and health. Although currently wrist tracking bands seem to be the most popular type of fitness trackers, it is not the only fitness tracker available. Sensor technology has been embedded in a variety of forms including smart helmets, earbuds and even smart patches which can be placed anywhere on the body. These devices can perform a variety of functions, including acting as a heart rate monitor, accelerometer, pedometer and sleep tracker. With time, fitness trackers are expected to become even more innovative and smaller, giving way to a new user experience. However, to succeed, consumers must feel the technology is not obtrusive to their daily lives, rather provides true value and integrates seamlessly. As companies embrace Humavox’s wireless charging technology this seamless integration into life will become possible. Fitness trackers will become more reliable and practical to the user who can count on his tracker to keep on tracking with a full battery. Humavox’s ETERNA wireless charging solution is a minimal-size solution with a tiny receiver that allows for effective integration within the device. This gives users the ability to comfortably charge without the hassle of dealing with cords. Moreover, ETERNA supports the waterproof solution necessary with sensor technology by eliminating the need for a USB port altogether. The elimination of a USB ports prevents any possible malfunction of the device with unwanted water penetration, as well as allows the integration of additional underwater features. If you are a fitness tracker OEM and interested in integrating wireless charging into your device in order to provide consumers with an easy and natural charging experience, please feel free to contact us.